The Mercedes G55 AMG is no slouch by any stretch of the imagination. So when somebody is looking to put more power under its hood, you know that their reasons are far more than just necessity. Mercedes tuner extraordinaire Brabus knows a thing or two about building performance packages for the G55 AMG, having done so a few years ago with a 700-horsepower monster of an SUV. Turns out, 700 horsepower wasn’t powerful enough for these guys because they’ve just released their newest performance package that produces a jaw-dropping 800 horsepower, making it the most powerful SUV in the world. We don’t normally subscribe to masochistic amounts of power on an SUV, but Brabus’ work on the G55 AMG is nothing short of staggering. The only thing that we’re worried about is that this SUV’s price tag will be as pocket-burning as the last one the tuning firm built. If you remember Brabus’ last work, the whole thing cost around €379,000, or about $482,000 based on current exchange rates. Add 100 more horsepower on this one and you can be sure that the price will spike north of half a million, which if you’re a man of sound body and mind, you’ll know is beyond excessive. Details on the Brabus 800 Widestar after the jump. While the Brabus 800 Widestar holds its performance figures in high regard, the SUV also has a dynamic aesthetic profile. The fender flares come with integrated air outlets and eye-catching door moldings, making the G-Class stand out from the rest. 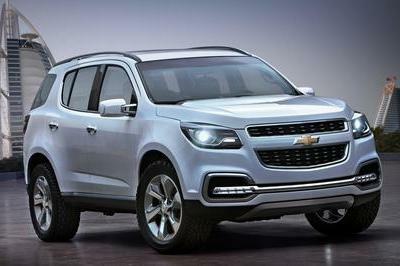 The SUV also has LED lights integrated on both the front and rear fenders, illuminating the stainless-steel running boards anytime a door handle is pulled or a keyless fob is operated. The SUV’s front apron keeps up with the overall shape of the flares on both sides, providing the engine and front brakes with enough cooling air that seeps through the air inlets. 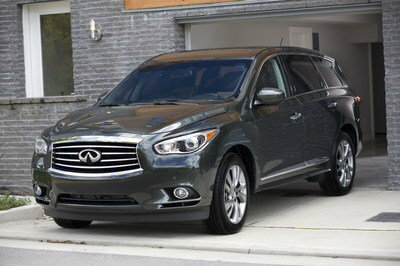 The lights configuration also includes six auxiliary headlights that provide maximum active safety, even at night. Likewise, in the daytime, LED daytime running lights are activated. Meanwhile, the SUV’s rear bumper also comes with a centrally mounted reflector, a fog lamp, and backup lights on opposite ends of the bumper. In addition, there’s also a roof spoiler with a brake light that also features LED lights. 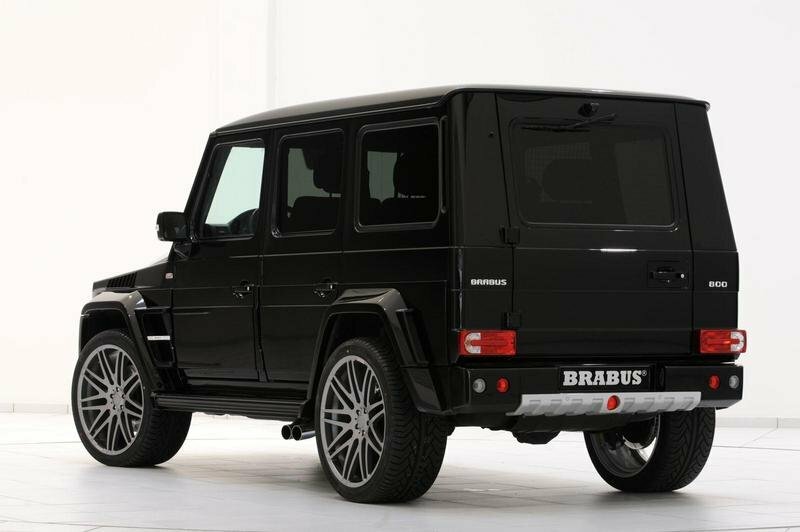 Fitting for an SUV of its stature, the Brabus 800 Widestar comes with a range of custom-tailored wheels ranging from 20” to 23.” A three-piece Monoblock E evo “Platinum Edition” or a one-piece Monoblock F “Platinum Edition” set of wheels are some of the choices offered to customers. Over at the interior, Brabus has dressed the SUV up with a new sport steering wheel, a revised instrument cluster, and stainless-steel scuff plates. 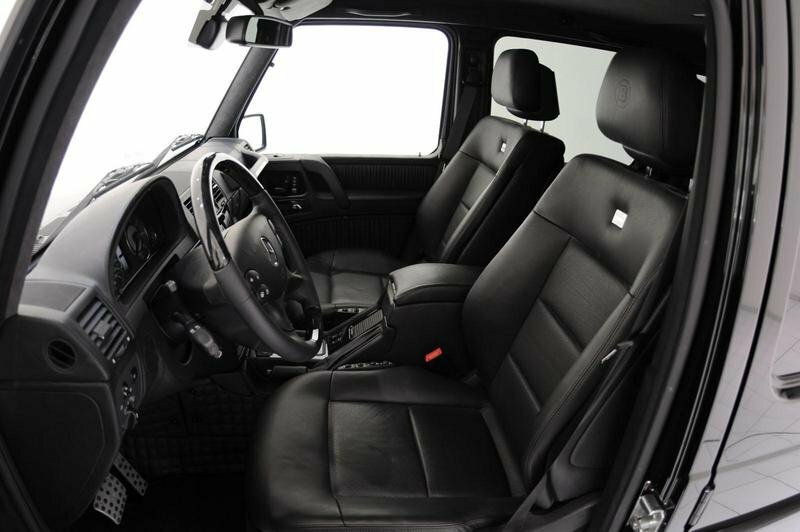 As an added option, Brabus is offering customers a bespoke leather upholstery and an exotic wood trim. Keeping in line with its claim of being the most powerful SUV in the world, the Brabus 800 Widestar comes with a 6.3-liter bi-turbo V12 engine that produces 788 horsepower and an electronically limited 811 lb/ft of torque. These numbers translate to a 0-62 mph time of just 4 seconds and an electronically limited top speed of 149 mph. 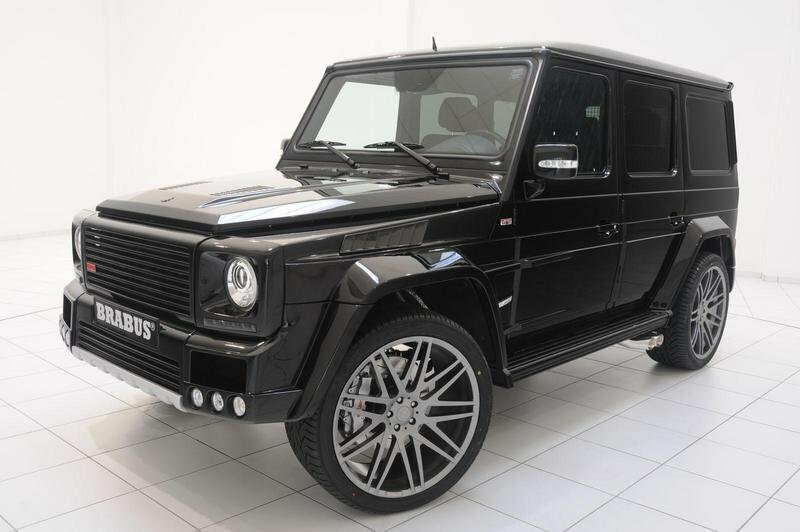 No word yet on how much this worked-up G55 AMG is going to cost, but the last time Brabus released a package for the SUV, it cost €379,000, or about $482,500. So basing it from this number, we won’t be surprised if it eclipses that figure. 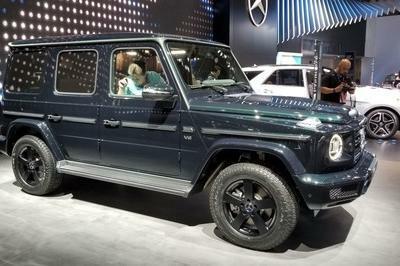 We don’t come across a lot of worked-on Mercedes G55 AMGs, although one other tuning company has put in the work to modify this all-utility SUV. 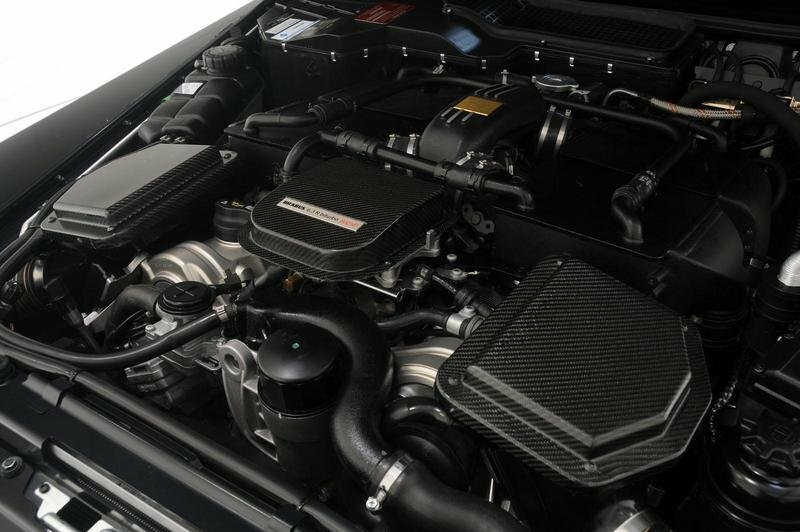 Despite not being as powerful as the Brabus 800 Widestar, Hamann’s work on the Mercedes G55 AMG from a year ago does have its own powerful engine that produces north of 600 horsepower with a 0-62 mph time of 5.1 seconds and a top speed of 162 mph. Yeah, the Brabus 800 Widestar has an electronically limited top speed of just 149 mph, which means that despite having less than 200 horsepower under its hood, Hamann’s package for the G55 AMG is faster than its rival by 13 mph. In terms of aesthetic and aerodynamic additions, Hamann offers a more eye-catching package than Brabus. The red interior strikingly complements the pearl white exterior finish and the monstrous 24" wheels that come with it. This Looks like an armor car, but what I can’t comprehend is what its purpose. Even so, it looks static. The competition made here still worth fighting. The interior actually came out rather well for this one. It is very simple and comfy, with those matching fine leather seat covers. The setup really complements utilitarian aspect of this car. One thing that I like about the Widestar is that it is actually well designed in terms of stability. Thus, you won’t be worrying that it would easily roll over when going on rough terrain. Thank goodness that they have a really put a powerful engine onto this one. 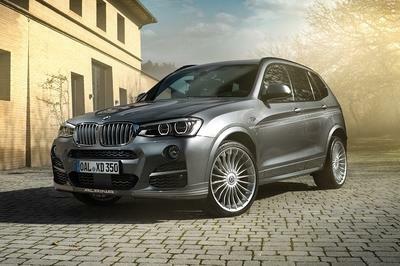 You see, the very heart of every SUV is that it has a powerful engine to haul itself. Well, I actually like this one more for its utilitarian features rather than its look. The engine alone is quite dependable and will be able to provide the power to handle rough terrain. This one looks a bit too blocky for me. 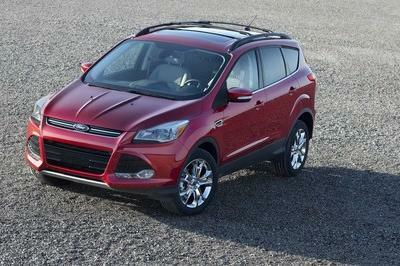 But then again, I really find that good, since that means that they have focused more on the utility of the car, rather than its look, which is a good thing for a utility vehicle.